The heaviest snowfalls for some weeks in the Alps, and across most of Europe's ski areas, are currently in the forecast for Wednesday/Thursday April 3rd and 4th. Although it's notoriously difficult to predict mountain snowfall totals, and the amounts falling at different altitude levels will of course vary, some resorts may receive as much as 90cm (three feet) of snow in a 48 hour period if the totals expected prove correct. For most however it is 30-60cm (1-2 feet). Unlike the last heavy snowfall a fortnight ago which mostly impacted the Eastern Alps, this week's falls should be right across central Europe's mountains, including the French Alps. 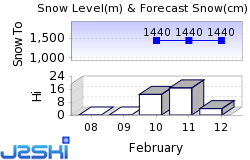 Although a swathe of lower altitude ski areas will close for the season today (Sunday 31 March), more than three-quarters of the northern hemisphere's 6000+ ski areas will stay open for several more weeks, and the snowfall should arrive with good timing ahead of the main Easter school holiday fortnight which begins on Saturday. Engerlberg, which currently has the world's deepest snow base and is due to stay open to the end of May is currently forecast to get 36cm, Andermatt, with the second deepest base at 6m/20 feet, 90cm/3 feet of fresh snow. It's due to stay open to early May. Heavy snow is also forecast in the Dolomites and light to moderate snowfall is also forecast all week in Andorra and the Pyrenees potentially adding up to 60cm/2 feet of fresh snow in total by next weekend. 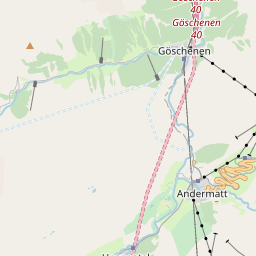 Ski Hire Shops in Andermatt. Where is there snow in Switzerland? At least 17 Ski Areas in Switzerland, including Adelboden, Aletsch, Arosa Lenzerheide, Engelberg, Nendaz, Saas-Fee, St. Moritz and Verbier are reported to be open.